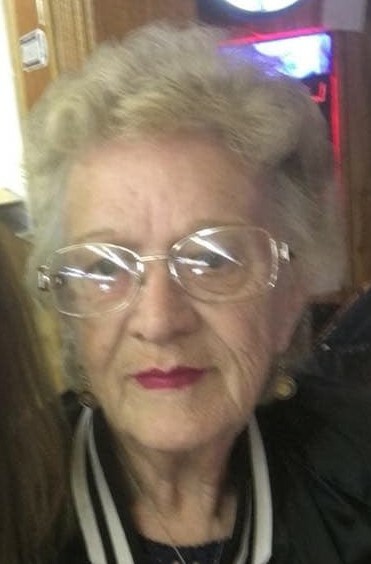 SANTA FE - Mrs. Lillian Yvonne Milligan passed from this life Tuesday, March 19, 2019, in Webster. Lillian was born in Ozawkie, Kansas to Eugene Curtis and Lola Mae (Barnes) May on January 14, 1941. She made her way to Santa Fe, Texas where she raised her family but worked in Galveston as an accountant at UTMB. After her retirement, she worked for Moody Gardens for several more years. Lillian was a wonderful cook and always looked forward to the Cockroach Festival where she participated in her family BBQ cook-off team who won every year from 1993-1997. She was a member of FOE Aerie #3789 and enjoyed going to their Karaoke nights. She loved to grow her own vegetables in her garden but most of all, she loved being a grandmother and great-grandmother. Lillian was a strong woman whose love and guidance will be missed by friends and family. She was preceded in death by her parents; son, Earnest Milligan, Jr.; husbands, Charles Simons, Earnie Milligan; brothers, Charles May, Ralph May; sister, Shirley Pollsen. Survivors include her sons, Paul Simons, Russell Simons; daughters, Michelle Leverett, Kelly Rourke; 10 grandchildren; 14 great-grandchildren; numerous nieces and nephews. Funeral services will be 6:00 p.m. Saturday, March 23, 2019, in the chapel of Hayes Funeral Home, with Reverend Mark May officiating. Visitation with the family will be from 5:00 – 8:00 p.m. Friday in the parlor of Hayes Funeral Home, 10412 Highway 6, Hitchcock, TX (409) 925-3501. Memorials in the form of donations may be made in Lillian’s name to American Breast Cancer Foundation, 10400 Little Patuxent Parkway, Suite 480, Columbus, Maryland 21044.